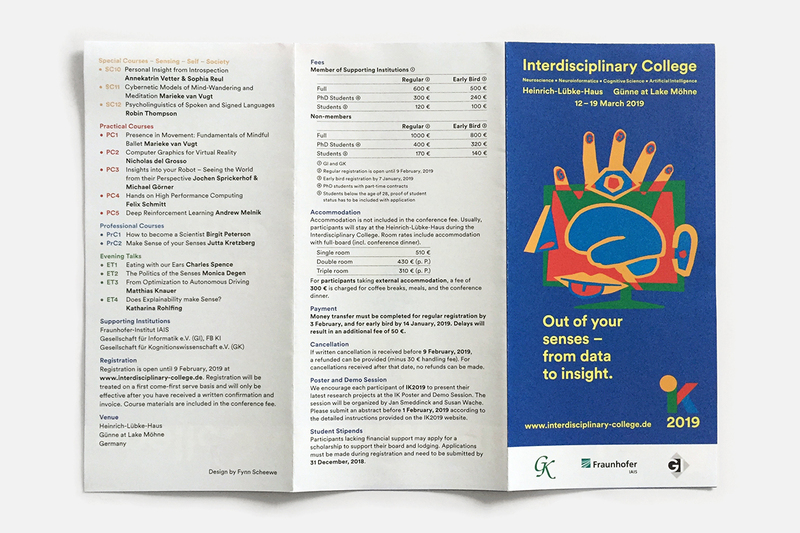 The Interdisciplinary College (IK) is an annual, intense one-week spring school. 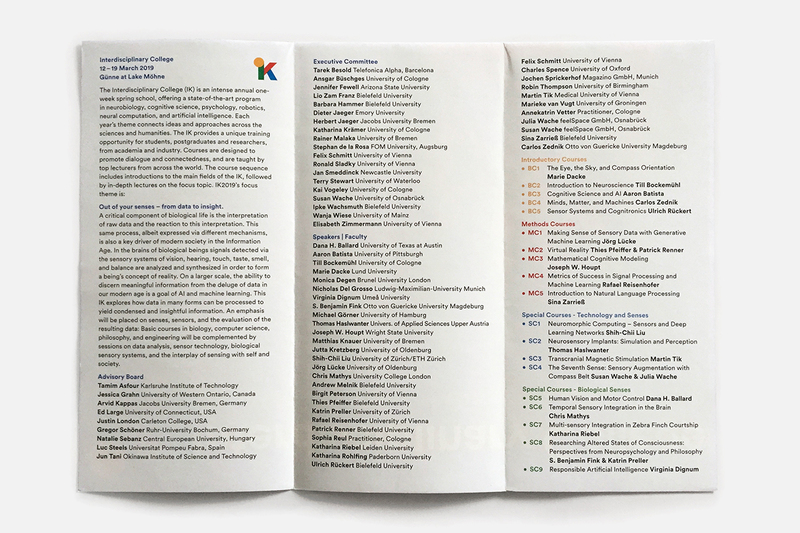 IK 2019 explores how data in many forms can be processed to yield condensed and insightful information. 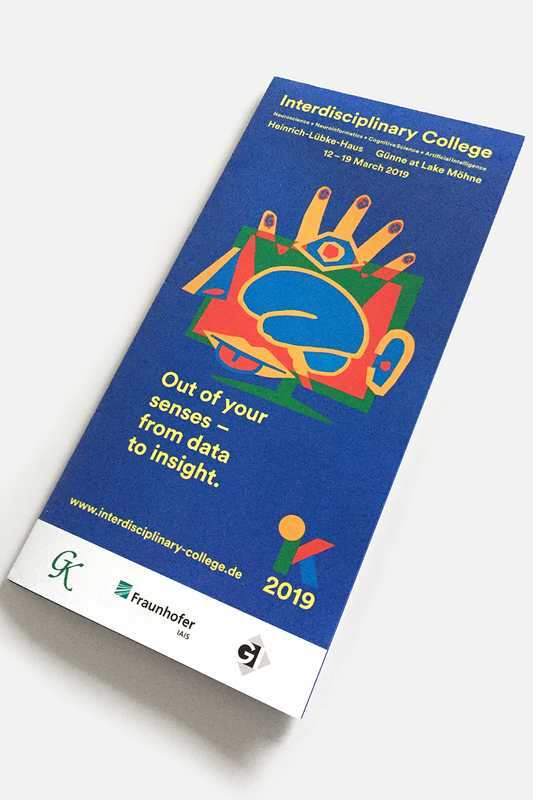 I was asked to illustrate this years motto »Out of your senses – From data to insights« in a way that carries on the IK's style. The illustration is inspired by Pablo Picasso. Objects are dismembered and put together in a new way which perfectly mirrors the motto. 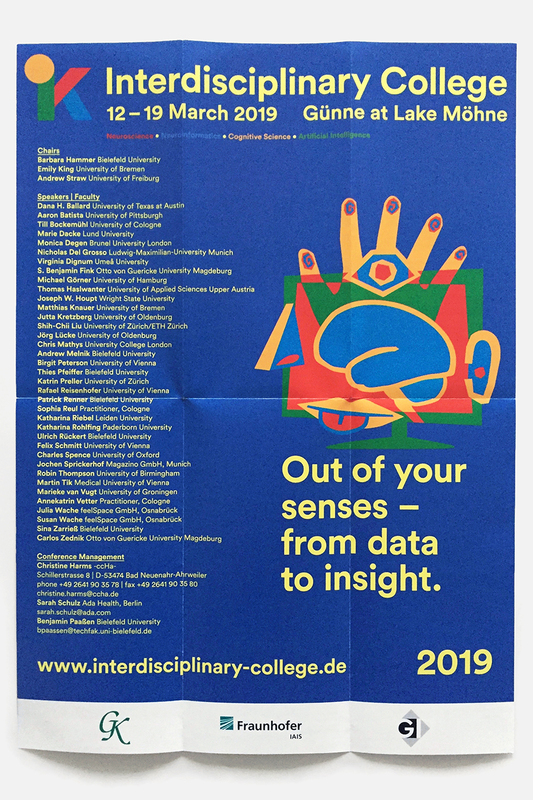 Die jähr­lich statt­findende Spring School »Inter­disci­plinary College« (IK) stand 2019 unter dem Motto »Out of your senses – From data to insights«. Meine Illustration zum Motto orientiert sich einerseits an denen voriger IK und lehnt sich andererseits durch Abstrak­tion, Zertei­lung und Neuzusammen­setzung an Pablo Picassos Werke an. 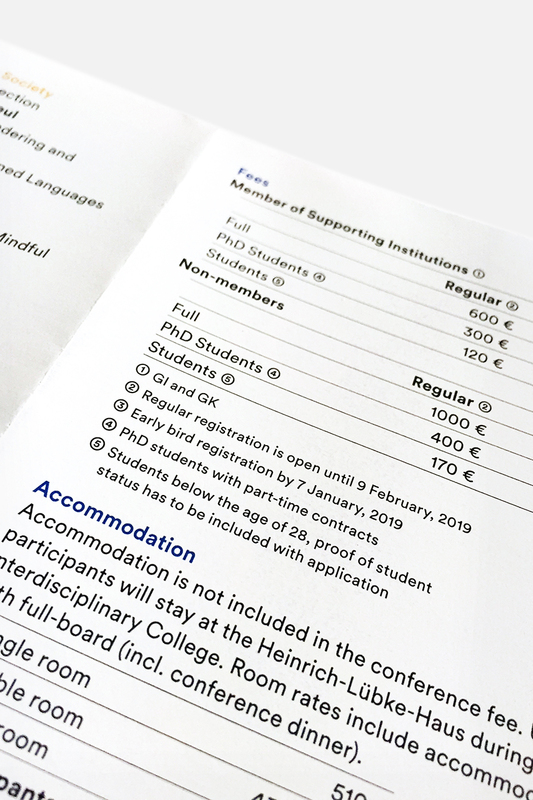 Außerdem wurden ein Flyer mit rück­seitigem Poster, Namens­schilder und ein Kurs-Material-Bogen erstellt.